Response 7: How Big Is Africa? This image has been floating around on the web the past few days. 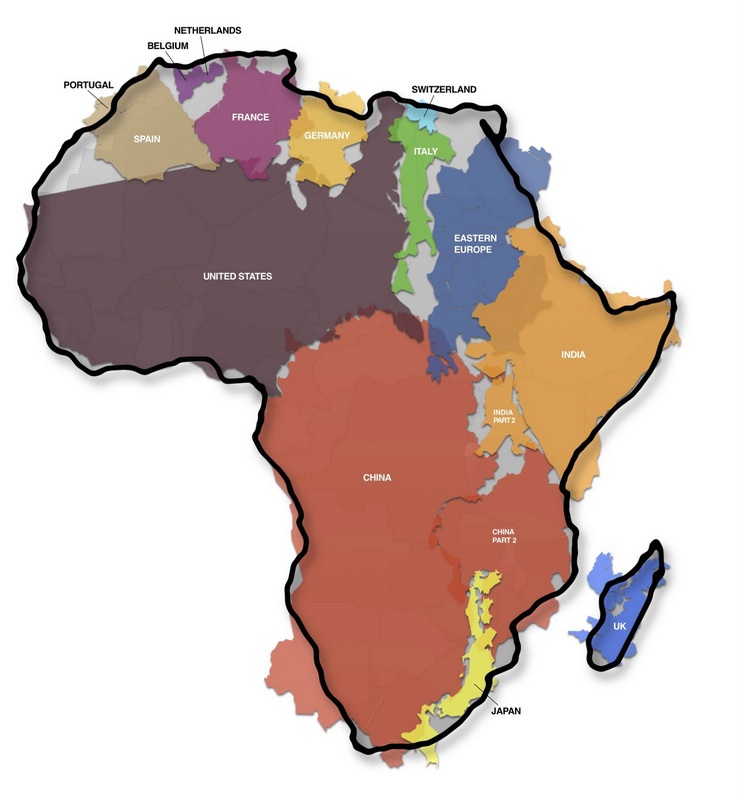 It’s a clever, graphic illustration that compares the land mass of the continent of Africa to major countries in the rest of the world. Click here to see a more detailed view that includes a table of those countries, measured in square kilometers. My questions to you are these: What do you think such a map illustrates? Why would that be important? Why would this map appeal to so many people?